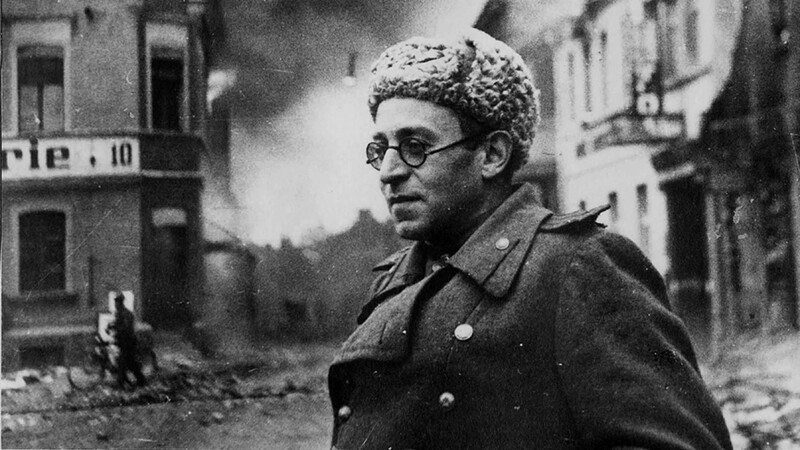 In June a new translation of a new version of Vasily Grossman’s “Stalingrad” is being released. Edited by Robert Chandler and Yury Bit-Yunan and translated from the Russian by Robert and Elizabeth Chandler, it promises to, if not revolutionize readers’ understanding of Vasily Grossman, then at least expand and augment it. We couldn’t wait to read it, and asked for permission to publish an excerpt in advance of the publication. Vasily Grossman’s “Life and Fate” has been hailed as a twentieth-century “War and Peace.” Most readers, however, do not realize that it is only the second half of a two-part work, the first half of which was published in 1952, under the title “For a Just Cause.” During the last three years, my wife and I have been working on a translation of this earlier novel. Like most tasks relating to Grossman, this has taken a great deal longer than expected, but the novel is at last about to be published. We have titled it Stalingrad – which is what Grossman himself always wanted to call it. To me, at least, “Stalingrad” now seems a greater novel than “Life and Fate.” It is more varied, more polyphonic, closer to Grossman’s immediate experience of the war. It is less a novel with a message – though I do understand that it is precisely because of its “message” that many readers value “Life and Fate.” Stalingrad presents us with a richer human story; “Life and Fate,” in contrast, presents us with a fully articulated statement of a moral and political philosophy. There are probably two main reasons why “Stalingrad” has been so overshadowed by its sequel. First, we are still in thrall to Cold War thinking; people have been unable to conceive that a novel first published while Stalin was still alive might deserve our attention. I too made this lazy assumption for many years. 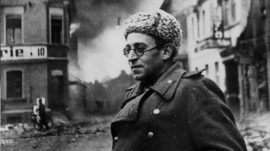 A second reason is that none of the published editions of “Stalingrad,” in Russian or any other language, do justice to Grossman’s original vision of the novel. There are many bold, witty, vivid and perceptive passages in his early typescripts that have never been published and have probably only been read by a few dozen people. Grossman’s editors – who, like all Soviet editors, also played the role of censors – required him to delete them and scholars have been slow to study and publish the wealth of material preserved in his archive. Neither the early typescript nor the 1956 edition is satisfactory on its own. We have, therefore, drawn on both for our translation. With regard to the general plot and the order of the chapters, we have followed the 1956 edition, but we have reinstated several hundred passages – some of just three or four words, some of several pages – from the typescript. The task of faithfully “restoring” Grossman’s novel – as one might restore a damaged painting – is, no doubt, theoretically impossible. In practice, however, it is less difficult than one might think. A comparison of the three published editions gave us a clear idea of the nature of the disagreements between Grossman and his editors, allowing us to see both what most perturbed the editors and what passages mattered so much to Grossman that he went out of his way to reinstate them when given the opportunity. Often, the differences between the editions are less a matter of substance than of tone. Many of the passages omitted in 1952 could not possibly have been construed as anti-Soviet; they must simply have been considered too silly or frivolous for a novel about so epic a subject as the Battle of Stalingrad. During the last years of the Stalin regime, only the most dignified of styles was acceptable. Soviet soldiers or officials could not be portrayed as behaving childishly or selfishly at a moment of critical military importance. There was a strong taboo on any overt mention of petty crime – and an equally strong taboo on mentions of lice, fleas, bedbugs and cockroaches. One of Grossman’s greatest gifts is the vividness with which he can evoke the sights, sounds and smells of real life. It is his sense of reality – as much as any hints of political unorthodoxy – that made “Stalingrad” seem a threat to the Soviet authorities. In our translation, we have restored much of the reality edited out from previous editions. Our hope is that this may allow readers to recognize the full breadth, humour and emotional generosity of another of Grossman’s masterpieces. The German axe was raised high in the air, suspended not only over the city of Stalingrad but also over the dream of justice, over devotion to freedom, over loyalty to the motherland, over man’s joy in labour, over maternal feeling and all sense of the holiness of life. Stalingrad’s last hour, the last hour of the pre-war city, was little different from any of its previous days and hours. People pushed handcarts full of potatoes, queued for bread and talked about items in shops. In the market people sold or bartered army boots, milk and yellowish sugar. Factory workers worked as usual. And those we are used to calling simple, ordinary folk – a Stalgres engineer, clerks, doctors, students, a young woman smelter, manual workers, rank-and-file Party workers – had no idea that in a few hours many of them would be performing deeds that future generations would refer to as immortal, and that they would do this as naturally and straightforwardly as they had until then gone about their everyday work. It is not only heroes who love freedom, take joy in labour, know maternal feelings and feel loyalty to their country. And here, perhaps, lies humanity’s greatest hope: great deeds can be accomplished by simple, ordinary people. On the other side of the front line German officers opened their battle orders. Airfield mechanics shouted, ‘Ready for take off!’ Tanks finished refuelling, engines began to throb and turret gunners got into position; infantrymen with sub-machine guns took their places in armoured personnel carriers, signallers checked their radios for the last time. Friedrich Paulus, like a mechanic who has just set hundreds of wheels of every size in motion, leaned back from his desk and lit a cigar, waiting for the axe of war to fall on Stalingrad. This was immediately followed by a long dismal wail from steamship hooters and factory sirens. This cry, prophesying death and disaster, hung in the air, as if conveying the anguish of all the city’s inhabitants. It was the voice of the entire city – the voice not only of people but also of stone, of buildings, of cars, trucks and machines, of telegraph poles, of the grass and trees in the parks, of electric cables and tram rails; it was a cry let out not only by living beings but also by inanimate objects. All now sensed their coming destruction. Only a rusty iron throat could have engendered this sound, which expressed in equal measure animal horror and the anguish of a human heart. It was followed by silence – Stalingrad’s last silence. Planes were coming from every direction – from east of the Volga, from Sarepta and Beketovka to the south, from Kalach and Karpovka to the west, from Yerzovka and Rynok to the north. Their black bodies slipped freely and easily through the feathery clouds in the pale blue sky; it was as if hundreds of poisonous insects had emerged from secret nests and were now all heading towards their victim. The sun in its divine ignorance brushed these creatures with its rays, and their wings shone milky white. White moths and the wings of Junkers – there was something painful, almost blasphemous about the similarity. The buzzing of engines grew continually louder, denser, more viscous. The sounds of the city faded, as if drooping or curling up; only this buzz kept intensifying, growing darker and still denser, its slow monotony conveying all the furious power of the engines. The sky was now covered with exploding anti-aircraft shells, their grey smoke like the heads of dandelions gone to seed. Enraged, the flying insects flew swiftly on. Taking off from airfields on both sides of the Volga, Soviet fighters climbed swiftly towards them. The German planes were flying in several tiers, taking up the full volume of the blue summer sky. For a while, the flak and the Soviet fighters seemed to disrupt their orderly progress. Damaged bombers caught fire, releasing long tails of smoke as they fell from the sky or broke up in mid-air. Bright parachute canopies opened over the steppe. Nevertheless, the bombers flew on. As the planes coming from north, west, east and south met over Stalingrad, they began their descent. It seemed, however, to be the sky itself that was descending – sagging, as if under dark, heavy storm clouds, under the vast weight of metal and explosives it now bore. Then came a new sound – or rather two new sounds: the piercing whistle of hundreds of high-explosive bombs falling towards the ground and the screech of tens of thousands of incendiary units tumbling out as their containers gaped open. This new sound, which lasted for three or four seconds, penetrated every living being. Hearts of those about to die, hearts of those who survived – all hearts clenched tight in anguish. The whistling grew fiercer, more insistent. There was no one who did not hear it: women who had been standing in queues and were running back home to be with their children; people who had managed to hide away in deep cellars, protected from the sky by thick stone slabs; people who dropped down on the tarmac in the middle of streets and squares; people who leaped into slit trenches in parks and pressed their heads against dry earth; patients in psychiatric hospitals; wounded soldiers lying under chloroform on operating tables; babies, red in the face as they cried angrily for their mother’s milk; half-deaf, feeble-minded old men. The bombs reached the ground and plunged into the city. Buildings began to die, just as people die. Tall, thin houses toppled to one side, killed on the spot; stockier, sturdier houses trembled and swayed, their chests and bellies gashed open and exposing what had always been hidden from view: portraits on walls, cupboards, double beds, bedside tables, jars of millet, a half-peeled potato on a table covered with an ink-stained oilcloth. Bent water pipes and bundles of cables and iron girders between floors were laid bare. Water was flowing everywhere, like tears and blood, making puddles on the streets and pavements. Heaps of red brick appeared; the thick dust coming off them made them look like heaps of steaming red meat. Thousands of buildings went blind, leaving the pavements covered with broken glass like a shining carpet of tiny fish scales. Huge tram cables fell to the ground with a grinding clatter, and plate-glass windows flowed out of their frames as if turned to liquid. Hunched, buckled tram rails were now sticking up from the streets. More fragile structures, however, seemed strangely untouched by the shock waves. A tin arrow with the words ‘Cross here!’ and a pale blue plywood kiosk for the sale of soft drinks were still standing. The many panes of glass of a frail telephone booth still shone. Everything most immovable – everything made of stone and iron – had become fluid; everything into which people had instilled the power and idea of movement – trams, cars, buses, locomotives – had come to a stop. The air was thick with brick dust and pulverized chalk. It was as if the city had been enveloped by mist and this mist was now spreading down the Volga. The fires started by tens of thousands of incendiary bombs began to blaze. A huge city was dying, overwhelmed by fire, smoke and dust, amid thunder shaking the earth, the sky and the water. And yet, terrible though all this was, it was not as terrible as the eyes of a six-year-old child crushed by an iron girder. There is a power that can raise huge cities from the dust, but no power in the world can lift the almost weightless eyelashes that have closed over the eyes of a dead child. Only people on the east bank of the Volga, ten or fifteen kilometres away, in Burkovsky Hamlet, Upper Akhtuba, Yami, Tumak and Tsyganskaya Zarya could see the fire as a whole and grasp the extent of the disaster. Hundreds of explosions merged into a single monotonous roar and, even there on the east bank, the iron weight of this roar made the earth shake. Oak leaves trembled and the windows of the little wooden houses rattled. The chalky mist, now lying like a white sheet over the city’s tall buildings and across the Volga, continued to spread, creeping as far as Stalgres, the shipyard repair workshops and the outlying districts of Beketovka and Krasnoarmeisk. Then the mist gradually disappeared, blending with the yellow-grey murk of the fires. From a distance people could see how swiftly the fires in neighbouring buildings were joining together. Building after building joined in a single blaze and whole burning streets fused into a single, living, moving wall. In some places tall columns rose up from this wall, along with swelling cupolas and fiery bell towers. Red gold, smoky bronze, it was as if a new city of fire had appeared over Stalingrad. Near to the shore, the Volga was steaming. Black smoke and flame slid over the water. Fuel tanks had been hit; the fuel had found its way to the river, and this too was on fire. A great cloud of black smoke was billowing up from it growing denser and blacker. Caught by the steppe winds, the smoke thinned out and spread slowly across the sky. Weeks later, it still hung in the air, visible even at a distance of fifty kilometres. Swollen and bloodless, the sun made its daily journey through a pale murk. The flames of the blazing city to the north were seen in the twilight by ferrymen crossing the Volga at Svetly Yar and by women on their way to Raigorod with sacks of grain. Old Kazakhs in carts, on their way to Lake Elton, saw a strange gleam to the west; their camels, sticking out their slobbery lips and extending their dirty swan necks, kept looking back at it. Fishermen in Dubovka and Gornaya Proleika saw a light to the south. And Colonel General Paulus’s staff officers stood in silence on the bank of the Don, drawing on their cigarettes as they watched the patch of flickering light in the dark sky. What did the strange blaze in the distance portend? Whose defeat? Whose triumph? Radio, telegraph and ocean cables were already promulgating the news of the Germans’ massive strike. Politicians in London, Washington, Tokyo and Ankara worked all through the night. Ordinary labourers of every race were studying newspapers. There was a new word on the front pages: Stalingrad. It was a catastrophe. As during floods, earthquakes, avalanches and steppe or forest fires, every living thing wanted to leave the dying city. First to leave were the birds. Helter skelter, staying close to the water, the jackdaws crossed to the east bank; they were overtaken by grey flocks of sparrows, alternately drawing close together and spreading far apart. Unbelievably large rats – magnates and patriarchs that had probably not left their lairs for many years – sensed the heat of the fire and the trembling of the earth. Emerging from the cellars of food stores and harbourside granaries, momentarily blinded and deafened, they rushed hither and thither in confusion. Then, as instinct took over, they dragged their tails and fat grey behinds down to the water and made their way along boards and ropes onto barges and old, half-submerged steamers lying close to the shore. Ignoring the rats and mice, cats took refuge in pits and crevices between the rocks. A horse overturned its cart, tore its harness, bolted along the shore and straight into the water, still dragging its reins and traces behind it. Crazed-looking dogs leaped out of the smoke and dust, ran down the slope towards the river, threw themselves into the water and began to swim towards Krasnaya Sloboda and Tumak. Only the white doves and blue rock pigeons, chained to their dwellings by an instinct still more powerful than that of self-preservation, went on circling over the burning buildings. Caught by fierce currents of incandescent air, they perished in smoke and flame. The book will be released on June 6, 2019. For more information see the site.